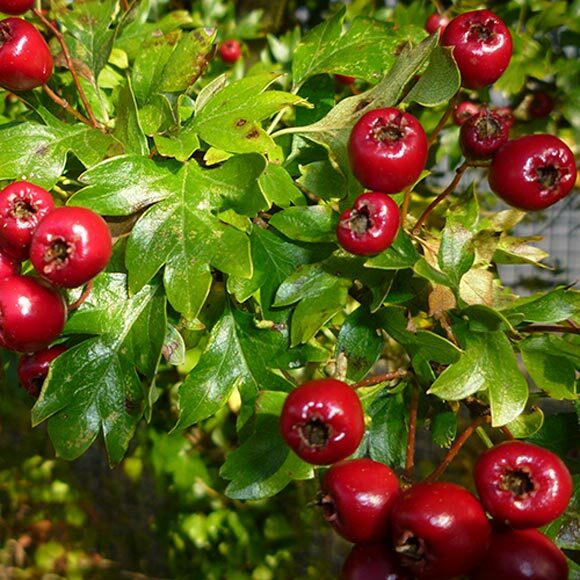 Hawthorn or White Thorn (Crataegus Monogyna, Sceach Gheal) was planted in hedges throughout the countryside. Its sweet smelling ‘May’ blossom is a feature in that month, and in autumn and winter the deep red haws colour the bare twigs. They are among the berries most favoured by birds.